Now, for several reasons I will share below, I’m trying my hand at some homemade wipes again. This time, they are for cleaning. I will start off by admitting to you that I love clorox wipes. I mean, I really really love them. I pretty much clean my entire house with them. Yes I do. I know, I know…there are harsh chemicals in them. But, I can clean a nasty toilet and then just THROW THE WIPE IN THE TRASH. There is just something wrong about cleaning a toilet and then throwing that cleaning rag into the dirty laundry or even into the washing machine. I know people do it everyday and live to tell about it. But, not me. No thanks. Gross. I’m just weird and grossed out by toilets. Enter my new obsession love for essential oils. Thieves, especially. 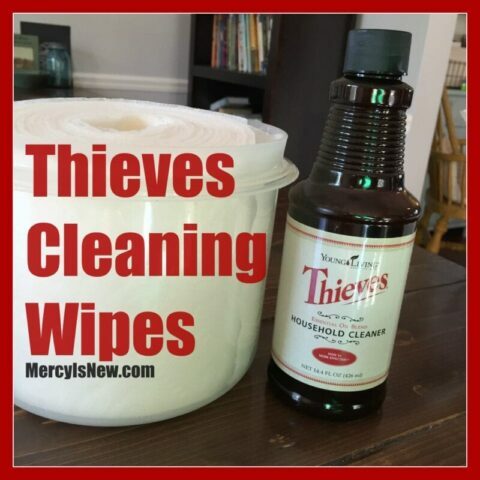 I tried the Thieves all-purpose cleaner months ago and was hooked. But there are still toilets to clean. Enter the need for a homemade cleaning wipe! In trying to rid my home of the bad chemicals that aren’t good for us, I’ve been replacing things like lotions, shampoos, household cleaners, and more. It’s so simple. It’s even easier than the homemade baby wipes I used to make! All you need are paper towels, Thieves all-purpose cleaner, water and a container to put them in! Cut your paper roll in half. I used a large serrated kitchen knife. Saw through it. It will be a bit crumbly. Place one half the paper towel roll into the round container. 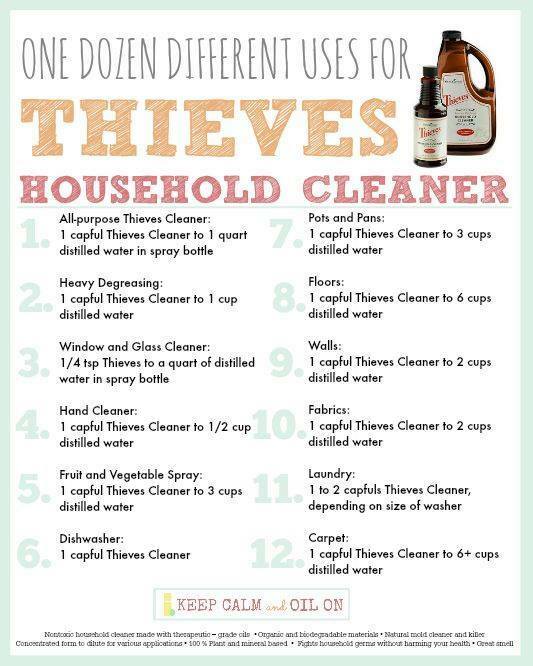 Pour 1 capful of Thieves Household cleaner into 2 cups of water to mix together. Pour liquid mixture over the paper towels, making sure to get all of the top wet. Let the liquid soak into the paper towels. Place lid on when not in use. That’s it! Can you believe how easy that is? 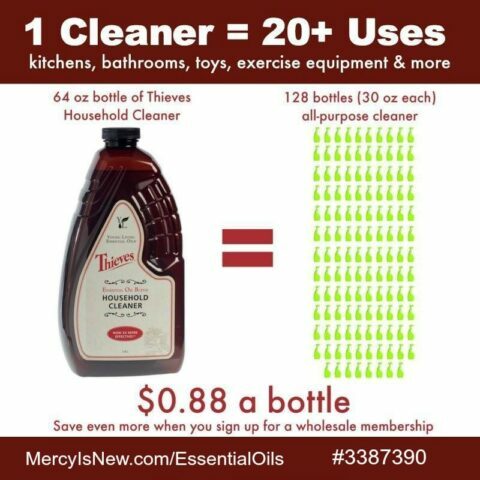 Purchasing Thieves Household Cleaner is most affordable as a wholesale member! Become a wholesale member with Young Living here! 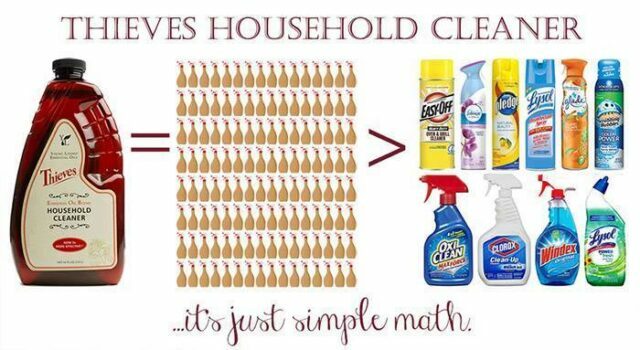 The Thieves Household Cleaner is so affordable. For $22 you buy the bottle of concentrate, and then you just use 1-2 capfuls in a whole spray bottle with 2-3 cups of water! Potentially, ONE bottle of concentrate could last you 6 months to a year!